Going by the recommendation of the LLRC report the Sri Lanka government has decided to release the information on war detainees. According to the Ministry of Defense who said on Sunday that a decision had been made to release informationon of the detainees only to the close relatives. “A round the clock mechanism has been established by the Terrorist Investigation Division to provide details of the detainees and those who are already released”, an official statement said. 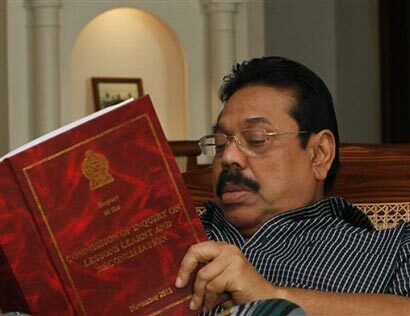 Release of information of those detained by the forces since the end of the war with the LTTE was a major cause of concern for the Tamil minority parties. Tamil parties claimed that those who surrendered at the end of the military conflict had disappeared without any trace. The Lessons Learnt and Reconciliation Commission (LLRC) in its report made a number of important recommendation on the detainees. The report noted several instances of LTTE detainees remaining in detention without charges and in which next of kin were not notified. It also asserted that no person should be detained outside authorized places of detention. The LLRC also had recommended the appointment of an advisory panel to monitor and examine detention. The move comes ahead of Sri Lanka’s external affairs minister GL Peiris’ meeting with the US Secretary of State, Hilary Clinton in Washington on May 18. The US had earlier urged the Lankan government to come up with an action plan on the LLRC recommendations, after it successfully adopted a resolution against Sri Lanka at the UN human rights council in March.